Germany’s Angelique Kerber stunned world number one Serena Williams in three sets to win her first Grand Slam title at the Australian Open yesterday. 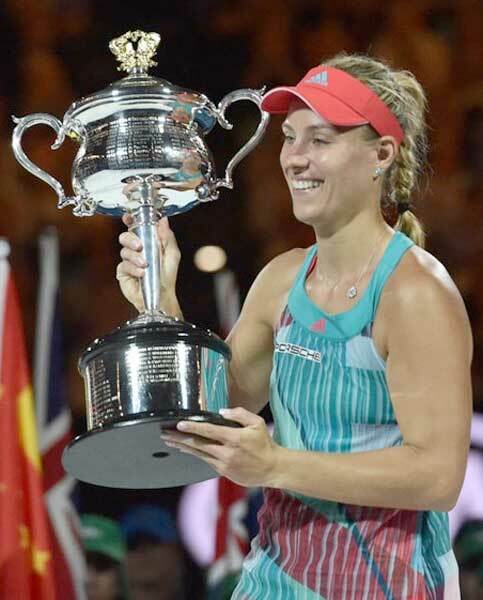 Kerber, seeded seventh, won a thrilling final 6-4 3-6 6-4 at Melbourne Park. CR and FC recorded a runaway 66 points (eight goals, two tries) to 11 (one try, two penalties) win over a pathetic CH and FC in their Dialog A Division League rugby match played at Longden Place yesterday after leading 33-6 at ‘lemons’. Sri Lanka beat Afghanistan by 33 runs but not before a major scare as they were forced into defending a total of 184 in their Under-19 Cricket World Cup match in Bangladesh yesterday.